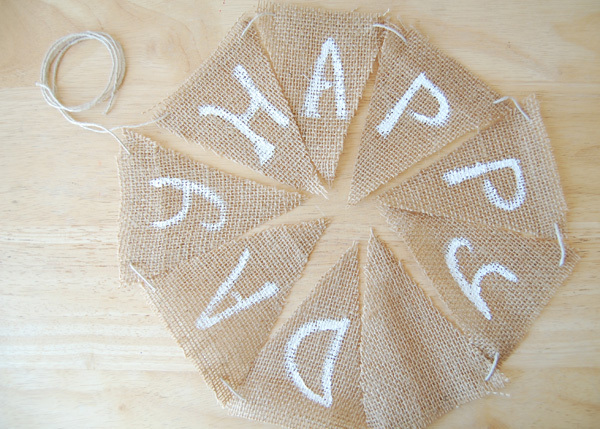 I found a couple of burlap bunting banners that I liked and ended up pinning on the Pinterest board that I used for inspiration for Little Boy's birthday party. 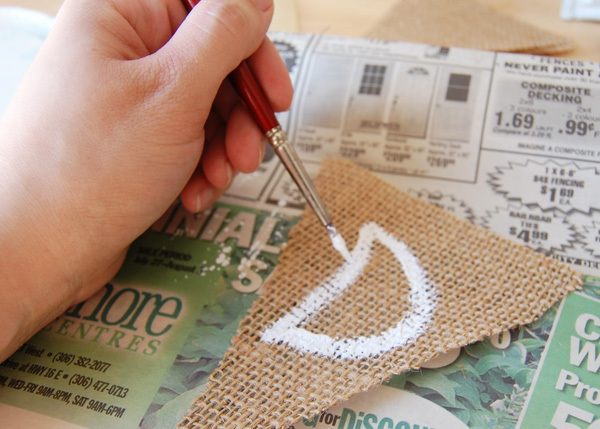 I decided that it would be a simple enough project to do myself, so I bought some burlap and set to work. 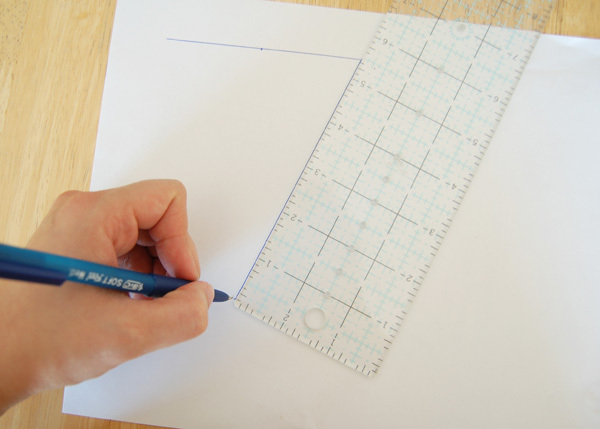 First I made a template for the little buntings. 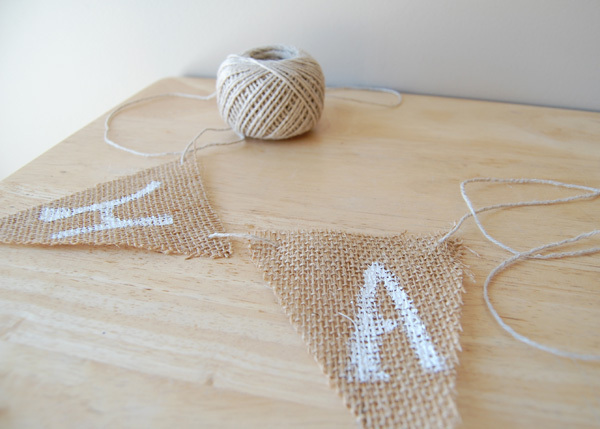 A triangle is an easy enough shape to make, but you need to decide how large you want your bunting to be. I went with 3" triangles as I didn't want a very big banner. 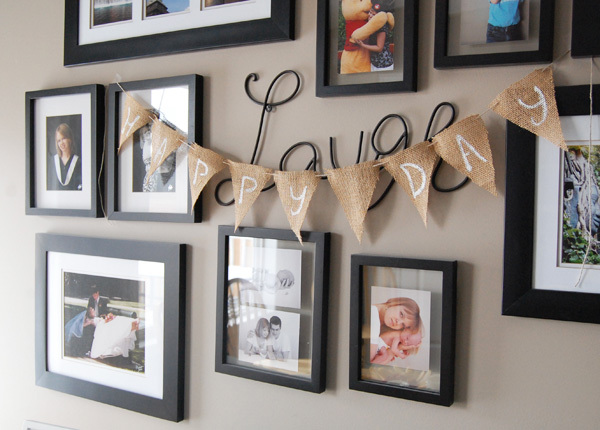 I then pinned the template several millions of times to the burlap to cut out enough triangles to spell "Happy Day" including the space between the two words. In fact, I drew out the bunting and wrote the words in so that I knew how many triangles to make. My burlap was freshly unrolled, so it wasn't very flat. I ended up using an iron to flatten out the triangles enough in order to paint the letters on them. I had originally bought stencils to use to paint the letters on, but they turned out to be too big for the triangles, so I had to free-hand it all. I'm actually quite pleased with how they turned out. I just used some white acrylic paint and a small paint brush. I bought some hemp rope to use as the string to hang all of the triangles on. 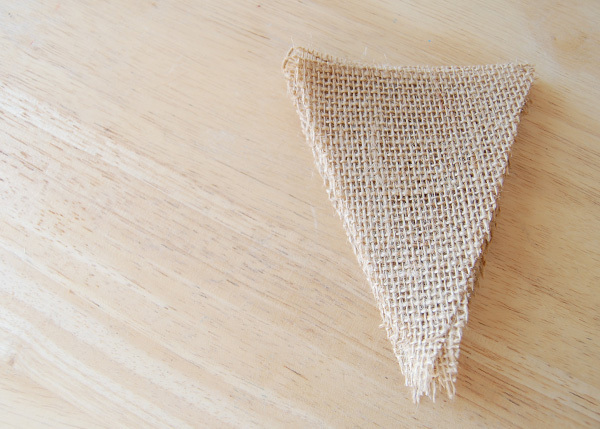 I thread it through the little holes in the burlap by twisting the end of the rope, but it would be a good idea to find a needle that can handle the size of string or thread that you use to make the process quicker. 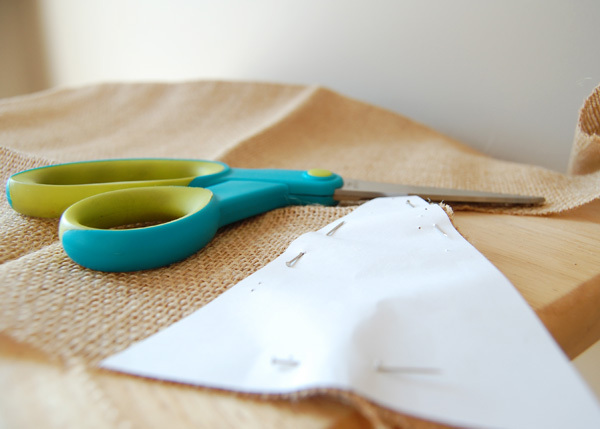 The end product is a simple little bunting banner that can be used for any occasion, or hung on your wall for an everyday decor item. I didn't end up taking mine down after the party, and didn't realise it until the day later...I still haven't taken it down.